If there is someone to emulate, it’s Rose Van Patten, the woman many people affectionately know as Mrs. Mangowood. For those that don’t know, Mangowood is a 300+ home area between SW 144th and SW 152nd Streets just west of Coral Reef Park in Palmetto Bay. And, the always smiling and happy Rose Van Patten is an energetic ‘86-years young’ (her words) Italian whose passion for being with people is infectious. At first glance, you might mistake Rose as your typical senior. But it doesn’t take long to discover she is a special whirlwind of activity who is ready to greet and help you as her new friend. 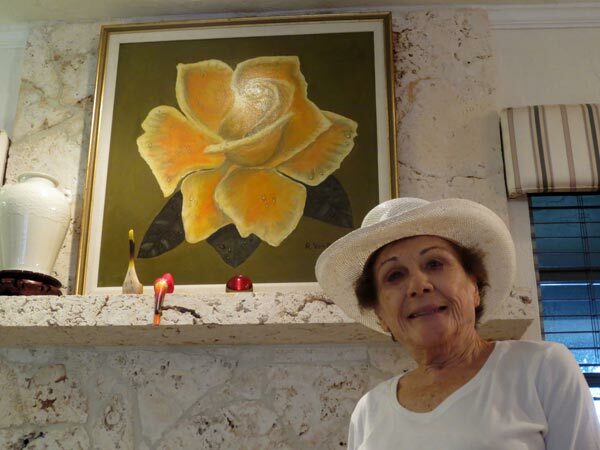 Rose was born in Rochester, NY and moved to Coral Gables where she was a practicing nurse for many years. 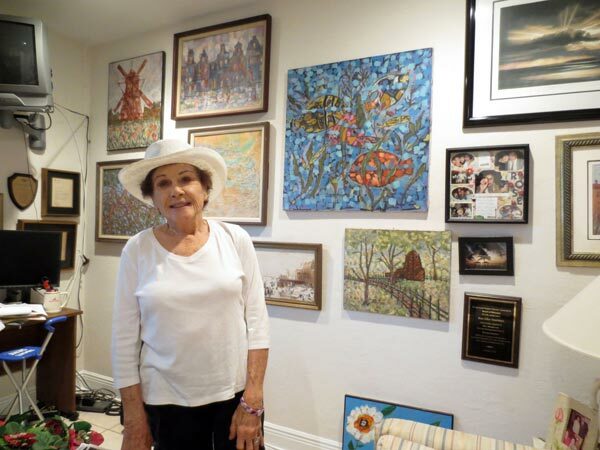 After marrying her second husband John Van Patten (a United Airlines pilot) in 1970, she moved into Mangowood and quickly became one of the most involved neighbors. “To ensure we could spend time together, John said I had to quit my job. 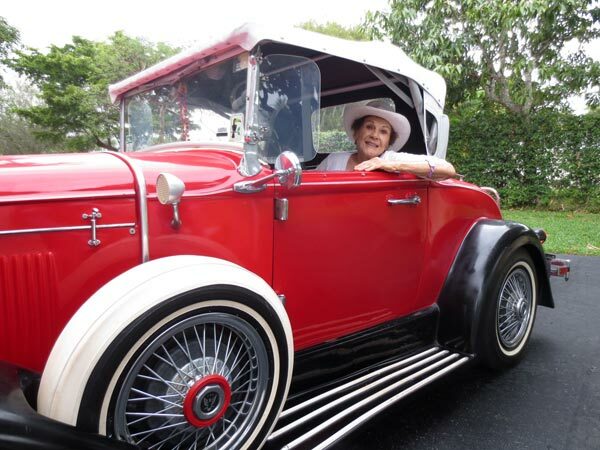 I almost cried because I had to say goodbye to so many dear patients.” Being one of the oldest civic associations in Florida, Mangowood preceded Rose’s arrival by a few years, but with her personality and drive to “just know all her neighbors” she quickly became famous. It was 1972 when John bought her a red Model A roadster replica. It was the same year Mangowood’s Christmas parade needed a car for Santa. Rose volunteered her car and chauffeur services. She instantly became Mrs. Mangowood. Almost from the beginning, she became the block ‘mom’. She also joined the neighborhood beautification Saturdays, which painted, cleaned and planted throughout Mangowood, resulting in most of the tree-lined streets today. Rose fondly remembers, “We all thought this place was heaven. We kept it beautiful, looked out for each other with our Crime Watch and enjoyed ourselves immensely.” Trees became dedications as well. At the flagpole memorial entrance, trees stand in honor of elder residents, including her late husband. After Hurricane Andrew, the Mangowood Estates Citizens’ Association really showed what neighborly cooperation was all about. Rose recalls, “People came out to the streets and automatically started clearing them. Anyone with a chainsaw or a strong back made sure Mangowood’s roads were passable.” Next was sharing with those in need. “One neighbor had a freezer full of meat. Another person had a working BBQ. Together they fed anyone who was hungry before the meat spoiled,” Rose remembered. “We just took care of each other.” Rose laughed when she told me they even found time for humor, as someone ‘updated’ the flagpole entrance sign to read Manglewood instead of Mangowood. Rose is certainly looked up to and respected in Mangowood, awarded Board Emeritus status. Still, she is actively serving on the Board, works as area captain for their communications and is always one of the first neighbors out at their many annual events. Rose is a patron of the opera and loves seeing live shows. 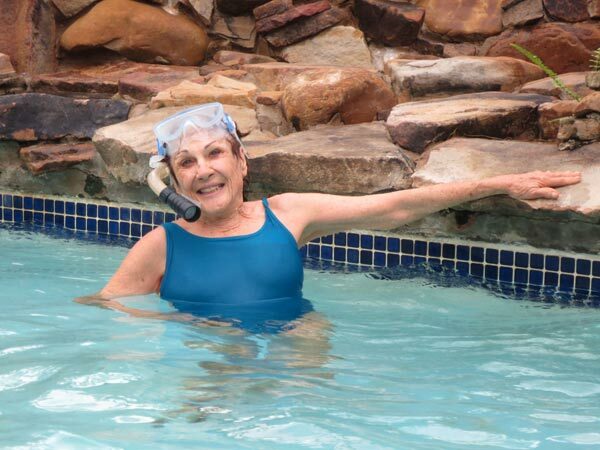 She takes neighbors and gets out for entertainment several times a month.